Fukushima nuclear power plant operator Tokyo Electric Power Co. plans to dump more than 11,500 tones of radioactive water from the destroyed plant into the Pacific Ocean by this weekend. 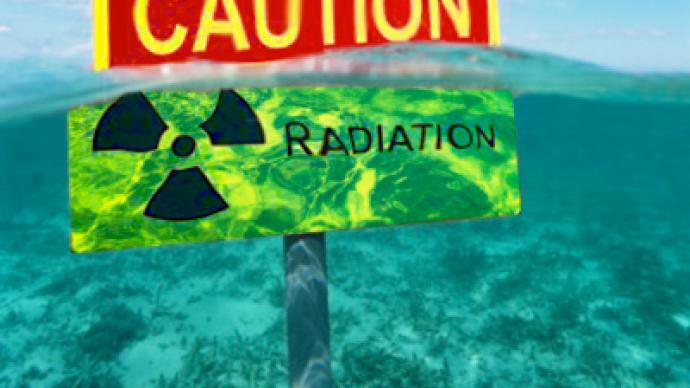 Japan keeps on discharging slightly radioactive water into the ocean, with 3,430 tons dumped by mid-Tuesday, while even more highly contaminated water inside the plant is exposing the workers to reportedly immeasurable levels of radiation. 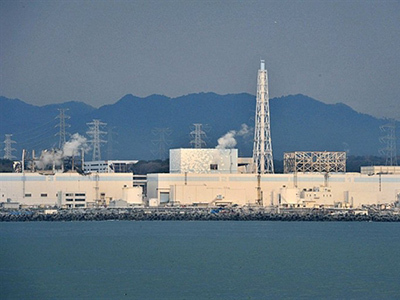 ­The radiation level inside the plant has risen beyond the limit where it can be measured, NHK local television reported, quoting a plant’s monitoring specialist. He said the radiation is exceeding the 100 millisievert level in some places outside the plant, while inside the buildings the monitoring systems fail to show any accurate numbers. The monitoring systems have already demonstrated their unreliability, showing that reactors had a radiation level that exceeded the admissible maximum by ten million times, numbers which later were declared inaccurate. Fukushima nuclear power plant operator Tokyo Electric Power Co. (TEPCO) plans to dump more than 11,500 tones of radioactive water from the destroyed plant into the Pacific Ocean by this weekend. 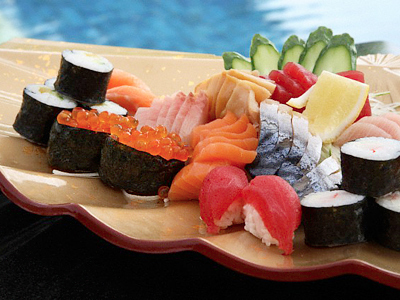 Banri Kaieda, the industry minister, promised the water will pose no major health risk and brought apologies for the situation to public, especially fishermen. And while Japanese officials claim the release will not pose an environmental threat, some experts strongly disagree. 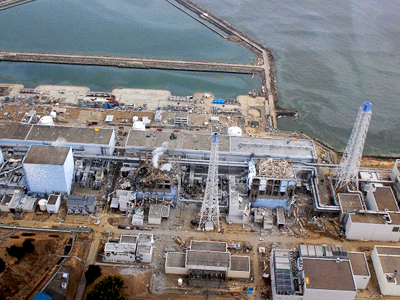 The emergency move was done after it became clear that a total of 60,000 tons (20,000 tons for each of the 1-3 damaged Fukushima reactors) of highly radioactive water is flooding the basement of the reactor buildings and underground communications and that the operator will have remove the liquid obstructing recovery work. 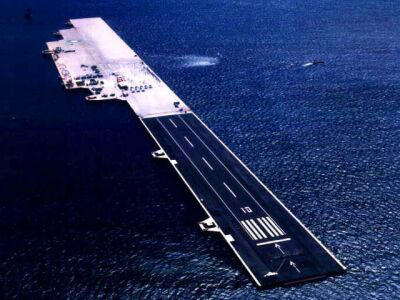 This water is going to be stored in different locations, including provisional tanks, US Navy barges, an artificial floating island and a 30,000 ton waste disposal at the site. Meanwhile Russia's state atomic energy agency Rosatom is discussing the possibility of sending Japan a “Landysh” liquid radioactive waste processing facility worth 35 million dollars, designed under the Russia-Japan 1993 agreement on nuclear disarmament, non-proliferation and utilization, and financed by the Japanese government. “That would be a symbolic gesture, charity for charity. We are ready to help our Japanese friends as they helped us once,” Rosatom spokesman Sergey Novikov was quoted as saying by Ria-Novosti news agency. He also added that for now they are solving the technical questions of sending the system to Japan. Arnold Gundersen, an energy adviser at Fairewinds Associates, a corporation specializing in environmental and nuclear safety issues, agrees that Russia could play a crucial role amid this nuclear disaster. Valery Petrosyan, a UN expert on chemical safety, believes there is a way Russia’s experience with the Chernobyl disaster could help Japan. ­Damon Moglen, a director of the Climate and Energy Project at Friends of the Earth, believes that Japan’s government and TEPCO are not in control of this situation. Currently, the contaminated water is leaking from a cracked concrete pit near the No. 2 reactor, where nuclear fuel rods suffered a partial meltdown. TEPCO says that samples of seawater taken near the plant showed 7.5 million times the legal limit of radioactive iodine 131. Samples taken on Monday also contained 1.1 million times the maximum legal limit of cesium 137, with half life period of 30 years. Meanwhile, as safety concerns rise in the wake of continuing water leaks, Japan hastily set 2,000 bequerels per kilogram as the legal limit for the permitted level of radioactive iodine in seafood, the same limit that has been already adopted for vegetables, Kyodo news network reports, quoting Japan’s Chief Cabinet Secretary Yukio Edano. Tokyo predicts the Fukushima-1 nuclear power plant, devastated by a 9.0 earthquake and a 10 meter high tsunami on March 11, will continue leaking as workers struggle to plug a damaged reactor. 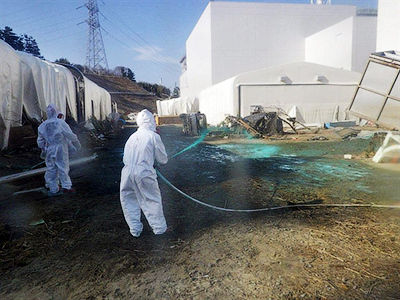 In order to stop the radioactive water flow, TEPCO will inject ''water glass'' or sodium silicate into areas beneath the pit's bottom, where the radioactive water is believed to be leaking through, informed the operator. Earlier attempts to block the radioactive water leakage with water-absorbing polymeric materials and concrete proved to be unsuccessful, as well as attempts to pinpoint the exact location of the leakage with colored water.